I personally don't like to be bogged down with an excess of "stuff" when I"m at the beach -- it's supposed to be a relaxing experience, after all, so I only carry with me the crucial items that make my beach going experience comfortable: sun protection, snacks, some sort of beverage, etc. I'm also careful to do my best to minimize any potential waste; I'm always alarmed by how much trash people carelessly leave behind. And even if you don't live near a beach, chances are you'll visit one this summer, or head to a pool, lake, or some other body of water. So you may as well be prepared and put together an easy-to-carry kit of items to make your trip to the beach fun, stylish, and a little bit better for the environment. Plus, most of these items are super versatile and will get use well beyond beach days. 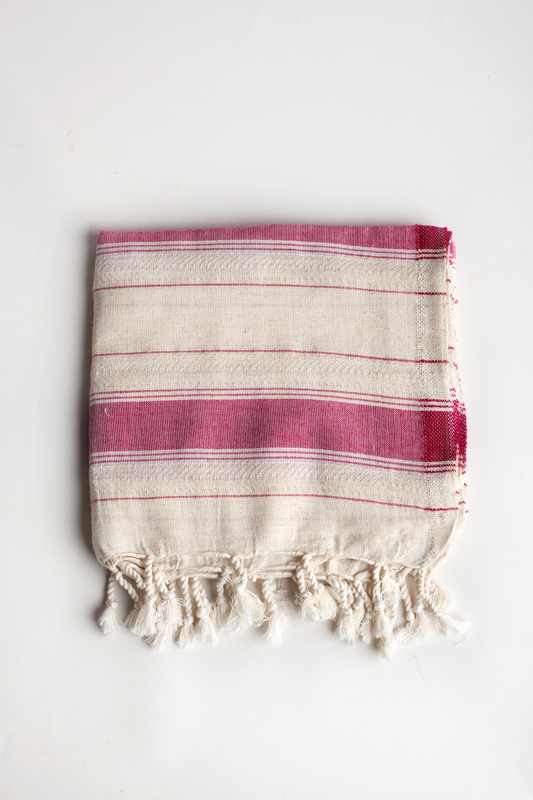 I love a good turkish towel because of its versatility and classic aesthetic. I have a few pestemels from Cuttalossa and I can attest to the fact that they're of the highest quality. HGreat as a beach blanket, towel, or even a scarf, there are numerous uses to this piece well beyond the beach. Plus, it will get softer with every use. There are plenty of brands making sunglasses from eco-friendly materials like bamboo and cork, but why not buy secondhand? Peep Eyewear has a range of vintage frames that will protect your eyes in style. Greenpacha makes hats, for the most part, but offers a couple of handwoven bags. 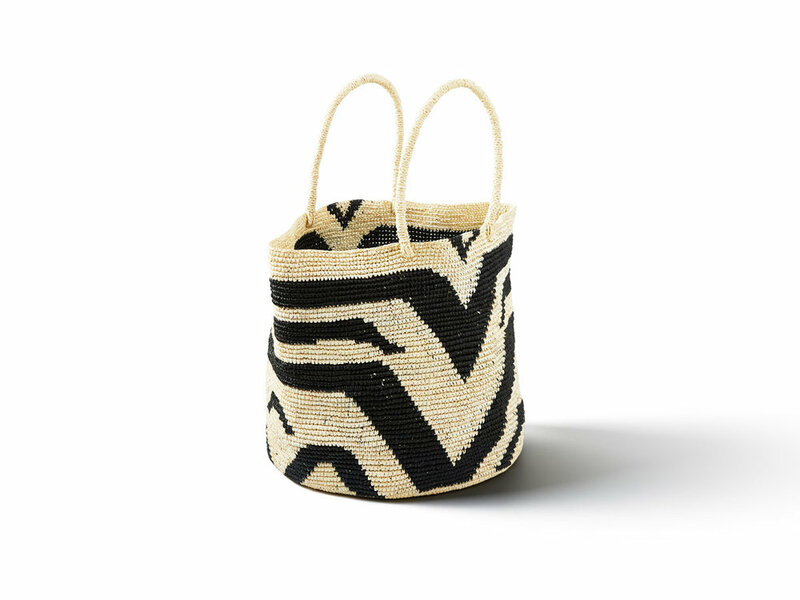 Working with female artisans in the mountains of Ecuador, each piece is carefully hand woven using traditional methods. This bag is a nice size to stash all your stuff for a day at the beach, but would be great as a bag for the famers market, or as an every day carry all tote. Amara Tulum has a vast selection of stylish swimwear all made from Econyl, a regenerated nylon recovered from the oceans through The Healthy Seas Project. Made in Mexico and designed in Tulum, Amara is active within their community in various social and sustainability initiatives. Indego Africa reinvests their profits into education programs for the women who craft their products and youth in those communities. The classic beach hat is woven in Ghana from natural elephant sea grass. Light and easy enough as a swim coverup, but substantial enough to wear as a dress or over a pair of jean shorts on a casual day, this organic linen caftan is part of the India Collection, which focuses on heirloom printing and dye techniques in Rajasthan, India. 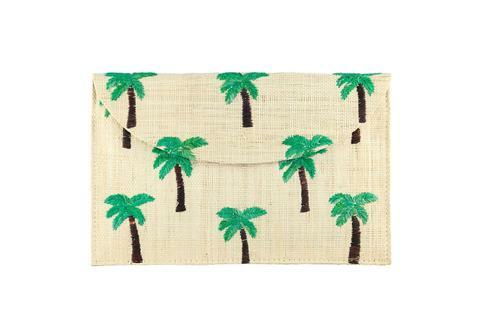 Use this nifty envelope style clutch made from seagrass to keep your face mist, sunscreen, cash, and any other incidentals organized and separated from everything else in your bag. This clutch is cute and functional for the beach, and the drop-in chain strap makes it versatile for a night out. Kayu has an adorable collection of handbags and clutches, handmade by women cooperatives in the Philippines. Sometimes your skin just needs a little hydration. I also love this mist for the days when you don't have time to go home before heading out for a cocktail or dinner after the beach - this face mist will refresh your skin and is intended to soothe skin that has been exposed to the sun. If you've read my guide to eco-friendly sunblock, then you know Eir is one of my favorite brands. The surf mud offers excellent coverage for prolonged sun exposure and time in the water. You're bound to get thirsty at the beach, so you may as well come prepared with your own beverage. I'm not one of those people who lugs a cooler along with her, so I like having an insulated bottle to hold my liquid of choice- and that I can refill at at a fountain. 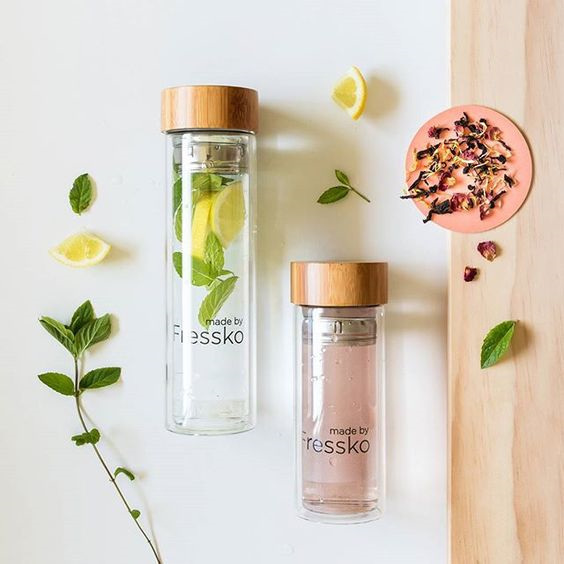 Fressko bottles are neat because they come with stainless steel infusers, perfect for infusing some fruit into your water. The double-walled glass ensures your beverage stays cold. Made from recycled bags and bottles with a hemp/organic cotton blend liner, this bag is washable and can be packed down when empty to minimize space . 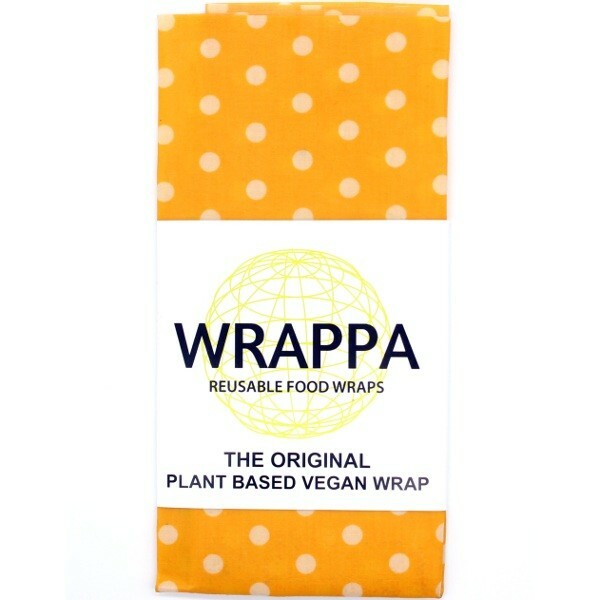 I like reusable food wraps for a number of things - not just food. In fact, I use waxed food wraps to carry bars of castille soap when I travel or to wrap anything else that might get sticky or gross. There are several brands, like Abeego, who use besswax in their wraps. This brand offers a vegan friendly version, which uses a blend of plant based waxes. Wrap up a sandwich, fruit, veggies, or snacks and toss into your lunch sack and you're good to go. Also in my beach bag - a good book, and probably some chips. Definitely Husk cherries if they're in season and at the farmer's market. *This post contains at least one (or more) affiliate links. Which means , at no additional cost to you, I will make a commission of anything you purchase by clicking through the links.